Do you know what we would have given to have a real lightsaber when we were little? We would have traded all of our action figures, bikes, and our video games (probably), and lived out the rest of our childhood playing with sticks and dust bunnies, just for the chance to take a single swing with an actual Jedi weapon. If that sounds pretty extreme, that's because we extremely wanted to play with a lightsaber! Although, it's probably for the best that we didn't get that opportunity, because we wouldn't have done anything good with an unstoppable energy sword. 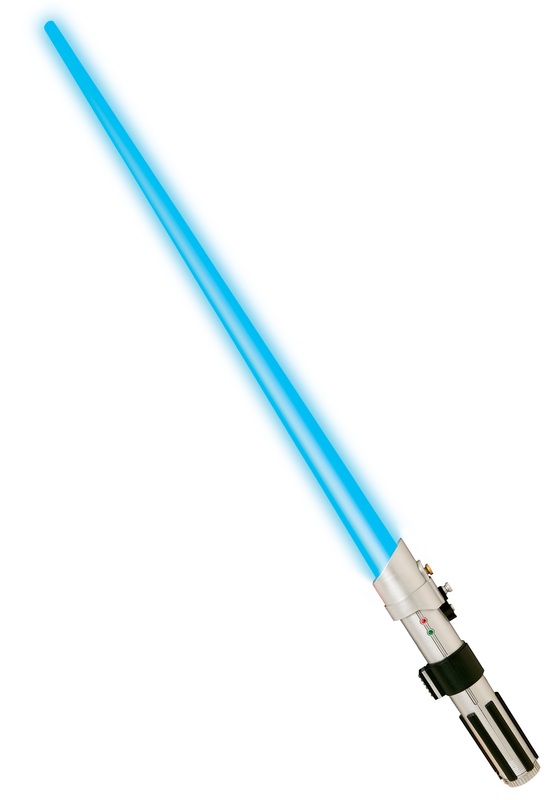 But, nowadays, we can all pretend to live out our childhood dream by playing with this Lightsaber Accessory. Modeled after Luke Skywalker's infamous blue-bladed Jedi weapon, this officially licensed Star Wars costume accessory lights up just like it does in the films. Wear it at your side as part of your Jedi costume, or carry it with you everywhere you go to make up for not having one when you were growing up, just like we do! Junk! Didn’t last 2 mins.